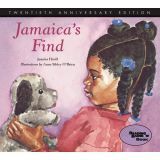 Jamaica finds a stuffed dog at the playground and after taking him home without trying to find the owner discovers her conscience as well. Jamaica's honest and appealing character inspired five more books, each about a childhood ethical dilemma. Jamaica's Find celebrates its twentieth anniversary with this new edition featuring an author's note in the paperback edition. 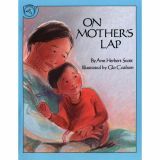 Scott's well-loved story sensitively captures the cozy warmth of a universal childhood experience, portrayed in an Eskimo setting. Michael loves cuddling in the rocking chair with his mother and his favorite toys. When his baby sister wants to join in, Michael learns that there's enough room--on Mother's lap and in her heart--for all. Full color. Seven-year-old Lena wants to use brown paint to paint a picture of herself. 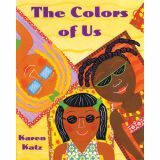 She and her mother take a walk, and Lena learns that brown comes in many different shades. As she helped her mother prepare the tamales for Christmas dinner, Maria slipped her mother's diamond ring onto her finger for just a moment. 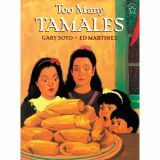 But suddenly, the ring was gone, and there were 24 tamales that just might contain the missing ring. "A warm family story that combines glowing art with a well-written text to tell of a girl's dilemma." --School Library Journal, starred review.